There’s some sad news out of the royal camp today. Queen Elizabeth’s beloved last corgi, Willow, has died. The dog, who was 14 at the time of its death, was the final descendant of the queen’s first corgi, Susan — a gift the then-young princess received on her 18th birthday. Now nearly 92, the monarch has been “hit hard” by this latest loss according to People. Willow’s last day was Sunday, which ended with the dog being put down at Windsor Castle at the recommendation of the royal family veterinarian. The senior pup had apparently been suffering from a cancer-related illness for some time, and the queen reportedly wanted to show her mercy. Willow has been buried on the castle grounds — presumably near the queen’s penultimate corgi, Holly, whose death at the age of 13 occurred only 18 months ago. 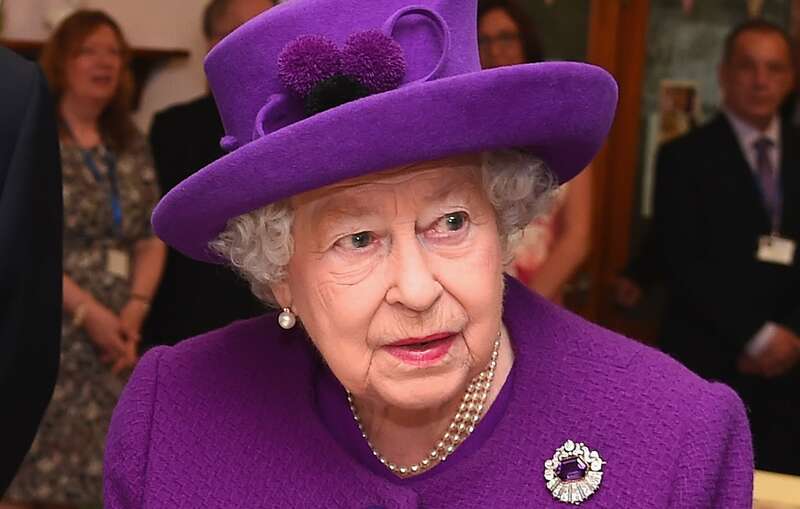 Losing a pet is never easy, and Queen Elizabeth is reportedly having a particularly difficult time adjusting to this particular loss. “She has mourned every one of her corgis over the years, but she has been more upset about Willow’s death than any of them,” a Buckingham Palace source told the Daily Mail. “It is probably because Willow was the last link to her parents and a pastime that goes back to her own childhood. It really does feel like the end of an era.” And it truly is. Willow was the 14th generation to be descended from Susan. But it all started in 1933, when the queen’s father, King George VI, brought home a corgi named Dookie. So, for 80 years, many of this jovial breed served as some of Queen Elizabeth’s most faithful companions. Due to such mutual devotion, the short-legged pups have become synonymous with the royal family. In 2015, after owning around 30 corgis in her lifetime, the queen announced her decision to stop breeding the dogs. At the time, the last two remaining corgis were Holly and Willow. In a conversation with close adviser Monty Roberts, the queen expressed, “[S]he didn’t want to leave any young dog behind.” Rather, she wanted to “put an end” to the breeding while she still had the capacity to care for her remaining dogs. Willow’s death won’t leave the queen entirely without canine companionship, though. She still has two corgi-dachshund crosses (or “dorgis”) named Vulcan and Candy to carry the torch.